We were tired of seeing RIVETS, spacers, and the same wheels on every car at every show. With years of experience and knowledge gained in the aftermarket community, we have incorporated performance, functionality, and design to provide all auto enthusiasts with extreme quality in products and customer service. Our wheels are a true 3-piece design and incorporate the use of "blind bolts" which mean that no external rivets are shown on the face of the wheel. 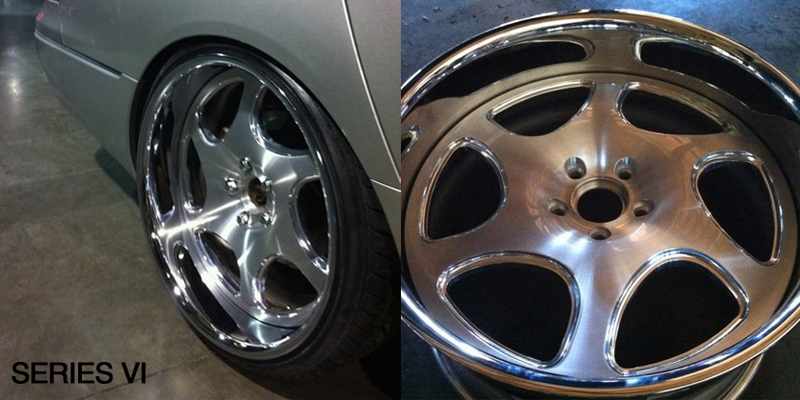 Our wheels are owner built and completely made to order, with no spacers being implemented to get your wheels to "fit". We take pride in being a company that offers a unique wheel line that has a high degree of exclusivity. The manufacturing process starts with 6061 T6 heat treated aircraft aluminum components, in order to ensure each wheel is lightweight while maintaining a strong structural integrity specified to our expectations. Various finishes are available, and each wheel is paired with quality patented wheel halves that are made in the USA. All wheels are backed by a Life Time Construction Warranty. Wheels are available in a variety of PCD, sizing, and offsets and we will specifically help you find something that fits your needs.